KSK uses 5-zone cleaning (power wash) for painting plastics. For this purpose, the components are degreased twice, rinsed and finally cleaned with demineralised water (DI water). Potential residues from the production process or dirt from transport and storage are removed. The power wash process for complex component structures is operated with specifically adapted cleaning agents. 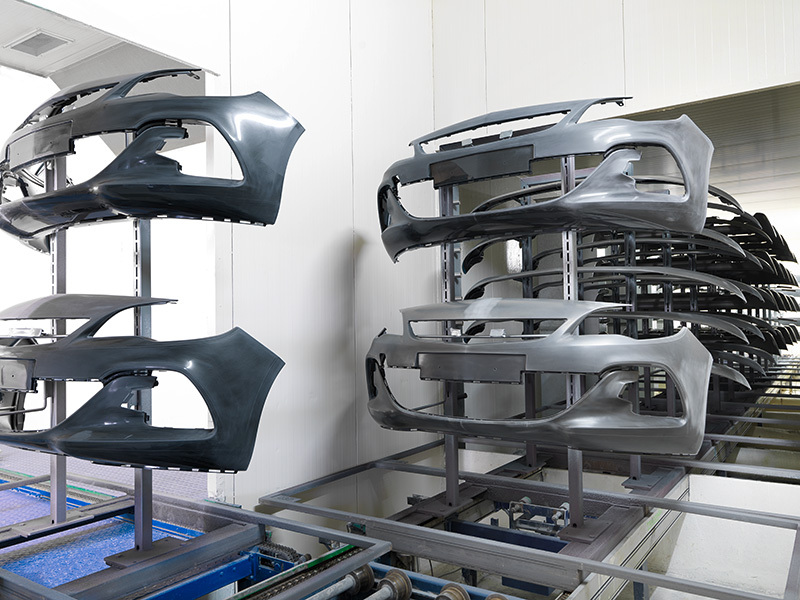 The component is prepared immediately before further painting to ensure optimum adhesion of the paint coat.